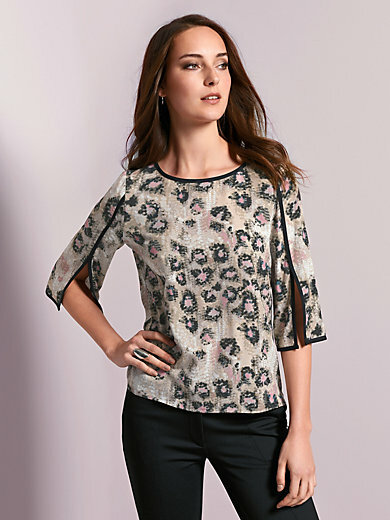 Blouse by AIRFIELD with 3/4-length sleeves. On-trend and comfortable pull-on style made of softly flowing woven fabric with a great print, contrasting piping and loose sleeves with decorative vent as a stylish accent. In 100% viscose. Length approx. 24ins. The blouse should be washed by hand.